During the Winter of 1906 a small group of Christians came together for prayer and worship in the home of Brother Scott Saunders. 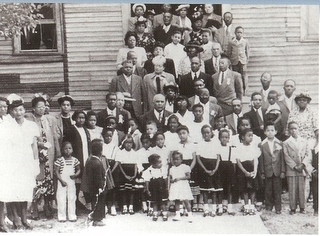 This group led by Brother Saunders, W. Harvey, T. Brown, Robert Turner, and William Kinnard decided to organize a church, and thus organized what is now known as Shiloh Missionary Baptist Church. The next step was tp buy land for a building. The group purchased Lot 4, Block 73 in Lockport for $400.00. A down payment of $50.00 was given and the balance was payable in three years. The first church was built in 1907 in Lockport, Illinois under the leadership of their first pastor, Bishop A. Mack. The decision was made to relocate the church to bring it closer to the membership, which had drifted frm the city of Lockport. In 1947 under the leadership of Rev. Albert Harris the church was relocated to 200 Yale Avenue, Lockport. Rev. McGee organized a drive to dig a well to bring water to the church, as this was an undeveloped area. 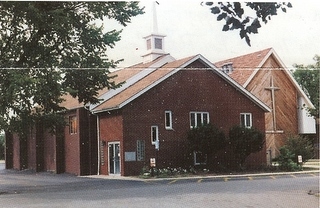 As Shiloh's membership was growing, the church was enlarged in 1957. New seats were installed in the sanctuary and the kitchen was remodeled 2 years later in 1959. Rev. James W. Walton took the reigns as Pastor in 1963. Under his leadership a complete renovation project took place including a new roof, new front, a new baptismal pool, new equipment, and one parking lot was paved. Shiloh's membership continued to grow and a larger facility was needed. Under Pastor Walton's leadership the groundbreaking ceremony to add a new sanctuary to the present building was held on May 10, 1981. The new edifice was dedicated on March 28, 1982. As the church began to focus more on teaching the Word, the old church was designated as the facility for Christian Education in 1987. Room dividers were installed on the first and second floor of the old building to make classrooms. Pastor Richard D. House took the reigns of leadership in 1990. The church purchased the Hayes property in 1992 for the expansion project. A mortgage burning ceremony was held in 1993 to celebrate paying off the mortgage ahead of time. Through the years the Shiloh Church family continued to grow in size, anointing, and blessings. To this end new ministries came forth and were ordained. Pastor House's vision to go outside the four walls and expand our bounderies began with the purchase of 39 acres of land on Briggs Street and Bruce Road in 1997. Pastor House's vison became clearer in 2002 with the acquisition of 42 acres of land on Oak Street for a ministry complex to create and develop ministries that will minister to all segments of society. A sign posting ceremony was held as a symbol of our faith and to announce the future plans of Shiloh to the community. In 2006 as Shiloh continues to grow, we are on a journey to bring the vision to reality by expanding our bounderies and answering the call of God to be a light on the "Hill" and surrounding regions.